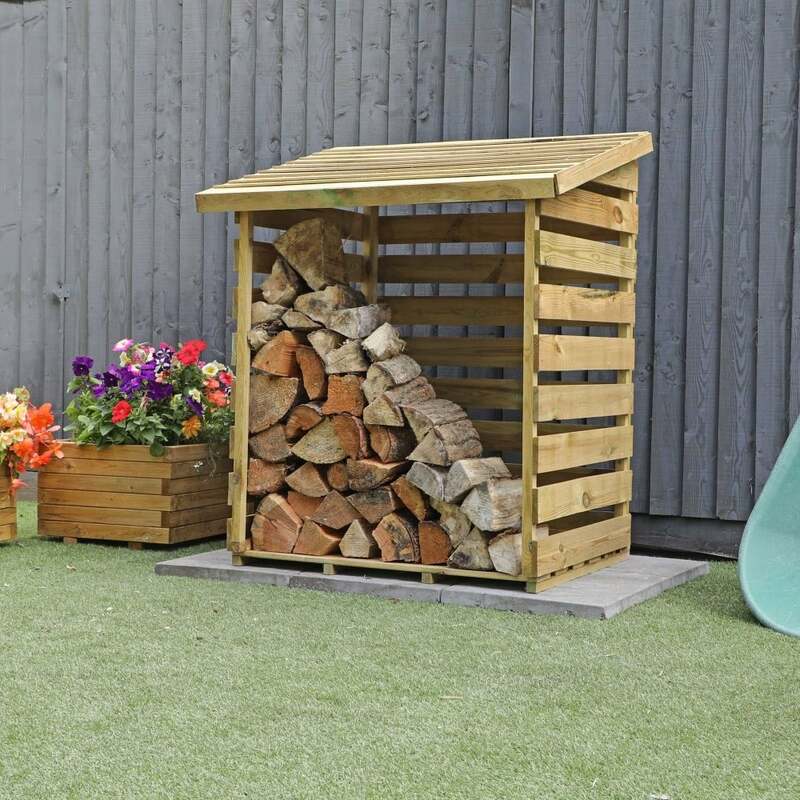 Mercia 3 x 3 Pressure Treated Overlap Single Log Store: The Mercia log store has been designed to keep the wooden logs dry, tidy and for easy access ready to use. The 3 x 3 overlap log store is made from pressure treated overlap timber in order to offer protection against decay and wood rot. The practical and attractive design would suit all styles and size gardens. The 3 x 3 Mercia log store is constructed from 8mm overlap cladding and 44x28mm wooden framing to provide support for the walls, roof and floor. The Mercia single log store well arrive flat packed for easy self-assembly.